When you begin a weight loss journey, it’s natural to want a clear timeline for achieving your goal. However, “how long does it take to lose weight?” is the wrong question to ask. It suggests taking a temporary approach to a complex problem. Gaining weight happens over time, and weight loss should also be a gradual process. Most people start off wanting to lose as much weight as they can as quickly as possible. They look to short-term diet strategies, extreme exercise programs and magic pills to meet these goals and are both surprised and dismayed when they can’t maintain their weight loss in the long term. Effective weight loss plans involve safe, sustainable measures aimed at not only reducing body size but also improving health. This means changing the way you think about diets and being ready to embrace lasting habits instead of diving headfirst into the next weight loss fad. The rampant epidemic of obesity is no secret. In the U.S., 20 to 30 percent of adults across all states qualify as obese, and the Centers for Disease Control and Prevention (CDC) report an additional 34 percent are overweight. On average, 20.5 percent of children in the country are also overweight or obese. 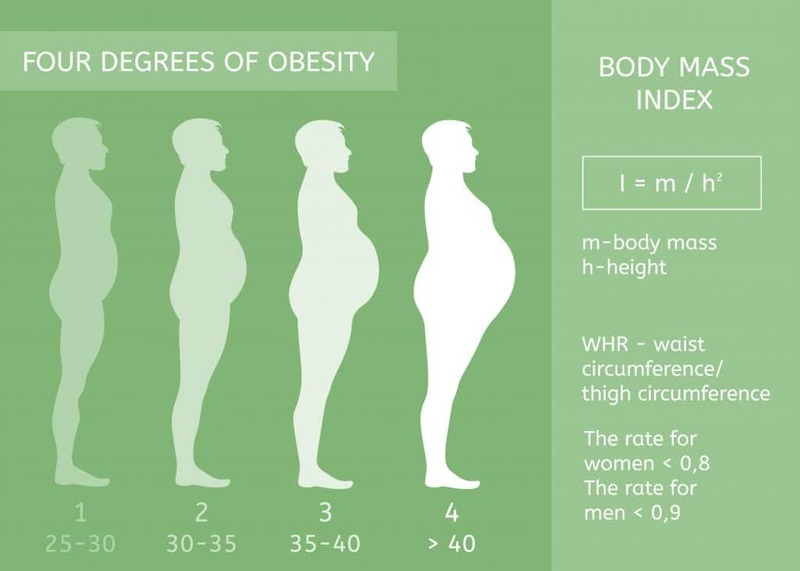 Being overweight is defined as having a body mass index (BMI) of 25 or more, and a BMI of 30 or more is considered obese. According to some projections, the obesity rate among Americans may hit 42 percent by 2050. Current medical costs from conditions relating to being overweight or obese are estimated to be between $147 and $210 billion per year. Obesity rates around the world have also been rising. Worldwide, obesity among adults has doubled since 1980 and increased 60 percent in children since 1990. The adoption affluent Western lifestyles and “fast food” diets is at least partly to blame for the problem, and the $20 billion Americans pump into the weight loss industry every yearclearly is doing little to combat the consequences. Being overweight or obese increases your risk for heart disease, stroke, diabetes, sleep apnea, arthritis, fatty liver disease and some types of cancer. The 108 million people in the U.S. on diets at any given time are likely aware of these risks, but it’s rare for diet programs to produce the lasting results necessary to maintain a healthy weight and reduce the chances of developing serious conditions. One reason the majority of people get stuck in the cycle of yo-yo dieting is the typical “eat less, lose weight” model doesn’t work, especially when it’s taken to the extreme. Some programs advocate eating less than 1,000 calories per day, which is much less than you need to maintain healthy body functions. What happens when you severely restrict calories? You do lose weight at first. You might even lose quite a bit of weight as your body sheds water and burns through the energy reserves in your muscles and liver. Called glycogen, this stored fuel consists of carbohydrates your body draws on during activities and to keep your blood sugar stable between meals. Depending on your size, you may have between 1,500 and 2,000 calories of glycogen stored in your body. Once this is gone, your body turns to fat for fuel. If you continue to eat too little, fat reserves run out and you begin to lose muscle as you start metabolizing protein instead. Nutrient deficiencies can also develop after long periods on restrictive diets. Cutting out entire macronutrient groups, relying on small portions of specially formulated “diet foods” or simply not eating enough means missing out on essential vitamins and minerals. This may leave you more susceptible to infection or injury if you’re not taking in what you need to fuel cellular repair and keep your immune system running well. There’s an ongoing debate over whether or not eating too little puts you in “starvation mode.” The theory suggests your body perceives extreme caloric restriction as a sign you’re starving and switches to storing energy instead of burning it. Detractors of this idea say people who are actually suffering from starvation don’t hit a point where they stop losing weight. However, disruptions in metabolic rate have been noted in people who shed a lot of pounds in a short period of time. This indicates some level of damage to the metabolism can occur as the result of crash dieting, and it isn’t clear when, or even if, the problem corrects itself once a diet has been stopped. In general, losing one to two pounds per week is considered safe and reasonable. Some people lose more initially, but this is the average you should aim for when embarking on a program to reduce your weight. Another idea the diet and nutrition communities hotly debate is whether or not all calories are created equal. At a basic level, the answer is yes. Every calorie technically provides your body with an equal amount of energy. Eating 200 calories of candy and 200 calories of brown rice should, by this logic, do exactly the same thing and have the same effect on your weight. However, it’s clear this isn’t the case. As more is learned about the complex ways in which the nutrients in food interact with our bodies on a cellular level, it’s becoming clear the old idea of “a calorie is a calorie” needs to be re-examined. Your body processes carbohydrates, proteins and fats differently. Carbohydrates get broken down into simple sugars and either used for immediate fuel or stored for the future. Proteins are disassembled into amino acids and later put back together to form new proteins your body uses to carry out important functions and perform repairs. Fats become fatty acids and become part of cell membranes, nerve linings and protective padding for organs. Although all excess caloric intake eventually results in weight gain, the sources from which you get these macronutrients matter more than the total number of calories. Consider the difference in the way you feel after eating a fast food meal versus a homemade dinner containing an abundance of fresh ingredients. Even if both are calorically equivalent, the homemade meal provides more nutrients and is likely to leave you feeling satisfied for far longer than processed fare from a drive-thru window. Foods high in salt, sugar and fat also have the effect of making you want to eat more even when you’re no longer hungry. By activating the reward centers of your brain, these foods create a sense of pleasure you become programmed to seek, hence why some people say sugar is addictive or they can’t live without cheese. Another problem is the high caloric density of processed modern fare. With so many calories in such small portions, your body is unlikely to register when you’ve overeaten. By contrast, there are some foods from which all the calories aren’t absorbed by the body. Up to 30 percent of calories found in nuts may be burned off by the slight boost in metabolism you experience after eating them or simply excreted in feces. Beans contain resistant starches the body can’t break down, suggesting some of the calories never make it into your body. These foods are also much more nutrient-dense than processed foods, meaning your nutrient intake is greater for every calorie consumed. For weight loss and overall health, this high nutrient-to-calorie ratio is essential and can be achieved with smart dietary changes. Unfortunately, the Western way of eating is becoming entrenched in countries around the world. The same fast food restaurants you see on every corner in the U.S. have established themselves in areas where traditional diets consisted of nutrient-dense foods like beans, rice, fruits and vegetables. Burgers, fries and soda are edging out this healthy fare, and populations in which obesity was a rarity are beginning to suffer from the same constellation of complications experienced by Americans eating standard Western diets. As was discussed, these tactics aren’t sustainable and only work in the short term. The concept of a “diet” as being something you undertake for a little for the sole purpose of losing weight is a misnomer. Merriam-Webster defines diet as “food and drink regularly provided or consumed” or “habitual nourishment” before making any mention of the restrictive way the word is usually used. When viewed in this context, going “on a diet” doesn’t mean putting yourself on a regimen sure to make you miserable for a few months in pursuit of a magic number on the scale. Instead, you should think of it as adopting a pattern of eating you can stick with and enjoy for the rest of your life. This immediately disqualifies the majority of popular diet plans and trends. You can’t spend the next several decades eating less than you need, subsisting on prepackaged “diet foods” or counting every calorie you put in your mouth. If these standard practices are off the table, what can you do to start moving toward a healthy weight? No animal products, processed foods or extracted oils are consumed, thus removing the majority of the foods currently at the center of the Western diet. Many of these foods have been shown to increase inflammation, damage blood vessels and even create addictive cycles in the brain. Whole plant foods, on the other hand, provide anti-inflammatory compounds and promote repair at a cellular level. By eating more plants, you also substantially increase the nutrient density of your diet and can feel satisfied consuming fewer calories without maintaining an uncomfortable or dangerous deficit. Adopting this type of diet means cooking more of your own meals and eating out only on rare occasions. Many people on Western diets rely on takeout, frozen meals and convenience foods, all of which offer few nutrients per calorie and are often packed full of excess fat, sugar and salt. Cooking your own food gives you much more control over what goes in to each dish, which is why home-cooked meals have been shown to be much healthier than those prepared at restaurants or created by food manufacturers. Learning to prepare healthy meals is an integral part of the commitment to eating better and will improve your chances of weight loss success. When you start thinking of a diet as an integral part of your life rather than a temporary program, you’ll being to recognize other areas where improvements can be made. For example, have you ever noticed how much of your day is spent sitting? Roughly 80 percent of American adults aren’t meeting the government’s national physical activity recommendations, which are minimum requirements rather than optimal levels. Even those who are diligent with exercise but sit down for the majority of the time they don’t spend at the gym are at risk for obesityand its associated complications. Whether you’re one of these “active sedentary” individuals or have a largely inactive lifestyle, you need a new approach in order to lose weight. You may not be able to get away from your desk very often during the day, but standing up and moving around for even five or 10 minutes once every hour can have positive effects. People who make a conscious effort to move more during the day feel more energetic and are less likely to rely on caffeinated drinks or sugary snacks as stimulants. Swapping a morning latte or an afternoon candy bar for a quick walk makes a big difference when you’re trying to lose weight. At home, pay attention to your activities. Do you spend most of the evening in front of the TV or playing computer games? Do you tend to snack during this time? If so, it’s probable you’re eating much more than you realize while adding more sitting to an already inactive day. While there’s nothing wrong with enjoying these activities, the combination of being sedentary and eating mindlessly spells disaster for any healthy weight loss program. These simple changes can help you overcome some of the common barriers to weight loss. Structured exercise is an important part of daily activity whether or not you’re aiming for a lower weight. When you do want to shed pounds, combining healthy eating habits with a regular fitness regimen produces better results than either method alone. This is due at least in part to the effects of exercise on body composition and metabolic rate. However, doing the wrong type of exercise can undermine your weight loss efforts. Many people mistakenly assume they have to spend hours on the treadmill, stationary bike or elliptical to “burn fat.” This obsessive focus on steady-state cardiovascular exercise can lead to harmful changes in the body. Too much cardio increases the release of cortisol, the main hormone involved in the stress response. Excess cortisol breaks down stored glycogen, increases blood sugar and may prompt the storage of fat. You’re also likely to overestimate how many calories you burn during such workouts and eat more than you should during the rest of the day. Those who do lose weight on strict cardio regimens tend to lose both fat and muscle, leading to a state in which it’s possible to be a healthy weight but have an unhealthy amount of body fat. What can you do to avoid this? Adopt a varied workout routine with a balance between cardio, strength training and flexibility exercises. Strength training is especially important because it increases muscle mass while stimulating fat loss. Developing a balanced strength training program is easier when you work with a professional, but there are also many books and videos available to help you get started. Don’t be afraid to lift as heavy as you can. Challenging your muscles reshapes your body so that you not only lose weight but also develop a more toned appearance. Rest day activities can include yoga, stretching, walking or any other gentle movement. These “days off” are essential for proper muscle repair and help lower your risk of injury during regular workouts. Active rest days also allow your body time to recuperate from the natural stress associated with both strength training and intense cardio. Lying in bed and sleeping probably doesn’t sound like a recipe for weight loss. Wouldn’t it be better to be active for as many hours as possible? As it turns out, this isn’t as great of an idea as it sounds. Skimping on sleep can make you put on pounds instead of shedding them. One of the most obvious reasons for this is the tendency to snack when you stay up too late. Many of the foods people reach for at night tend to be “comfort foods” like ice cream, candy, cookies or chips. Even if you don’t eat at night, being tired the next day may lead you to seek a “boost” from similar foods or in the form of high-calorie coffee drinks. Getting a buzz from these can interfere with sleep and set up a vicious cycle you have difficulty breaking. Hormone imbalances from lack of sleep can also drive this cycle. Your body relies on two hormones, leptin and ghrelin, to regulate hunger. Ghrelin signals when it’s time to eat, and leptin tells you when you’ve had enough. When you don’t get enough rest, you wind up with an imbalance in which you either produce too much ghrelin or don’t respond as well to leptin. Your appetite increases either way, and your tired brain begins to demand “rewards” in the form of calorie-dense, nutrient-poor processed foods. Over time, sleep deprivation increases cortisol levels. Excess cortisol not only promotes weight gain but can also make your cells resistant to the effects of leptin. As a result, you don’t feel as satisfied after eating and may eat more than your body requires. Insulin sensitivity is also reduced by as much as 30 percent, and this can contribute to excess storage of fat if you continue to be short on sleep. Since cortisol can cause imbalances in blood sugar, the combination of too much stress hormone and a dampened insulin response may be even more problematic, especially in those whose weight already puts them at risk for developing diabetes. Sleep is also critical for bodily repair and recovery, especially if you’re starting a new exercise program. Without adequate sleep, your muscles stay sore longer and you may find it more difficult to work out. Simply being tired can sap your motivation to exercise and make it harder to establish a consistent routine. Keep a consistent sleep schedule throughout the week, including weekends, so that your body develops a rhythm for sleeping and waking. Besides wondering how long it takes to lose weight, many people also want to know when the weight will come back. If you approach weight loss the right way, the answer can be “never.” Most dieters who regain unwanted pounds do so because they start off on crash diets, exercise excessively or do both in combination. Some studies suggest losing weight rapidly on such a regimen can lead to a slower metabolism lasting for an indefinite amount of time. It’s better to start off on the right foot with a healthy lifestyle and continue to educate yourself about the best ways to eat and move to preserve a healthy weight. As your body changes and you approach your goal, you’ll need to make some adjustments to the way you eat and train. If your diet is on track and your exercise plan is balanced, these changes should only be minor even as you transition from weight loss to weight maintenance. What if you can’t seem to let go of excess weight even after changing your diet, starting a regular exercise program and establishing a good sleep schedule? Something else could be interfering with your weight loss efforts. Under normal circumstances, the body should respond to healthy diet and lifestyle changes. However, certain medications and diseases can make it seem as though you’re fighting an uphill battle. In addition to these conditions, any disease or disorder in which inflammation plays a major role can have an effect on weight. Inflammation itself may make the number on the scale go up, and it can contribute to leptin resistancewithin the body. Some chemicals found in foods, such as MSG, are also suspected to interfere with the way the body responds to leptin. If you believe a medical condition is affecting your weight, talk with your doctor. After a thorough physical exam, he or she may recommend tests to check for one or more potential problems. You can also discuss your current medications to determine if any may be making it difficult for you to shed extra pounds and if alternatives without this side effect may be available. Switching to a plant-based diet and adopting a regular exercise program can, in some cases, reduce or eliminate the need for certain medications. Many people also experience relief from symptoms. Others find their chronic medical conditions disappear completely over time. Although this isn’t the case for everyone, any small benefit you experience means your body is getting healthier. How long does it take to lose weight after you make changes? There is no concrete answer, and weight loss in and of itself shouldn’t be the main focus of a healthy diet and lifestyle plan. Eating well, being smart about exercise and adopting good habits offer benefits far beyond a lower number on the scale. Make your weight loss journey more about finding a way of eating and a way of moving you enjoy. Develop a plan you can sustain for the rest of your life, and start making peace with your body rather than fighting against it.